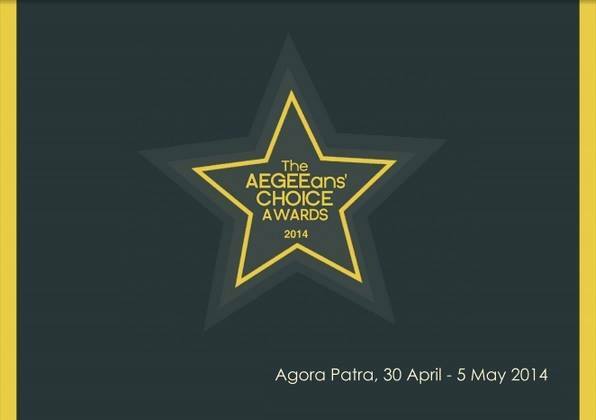 It is time for The AEGEEan’s Choice Awards again! From March 10th until April 10th you can let us know who your favorites are in categories like Best Video, Most Original Mascot, Most Impressive Roll Call and, of course, Most Active Working Group. For the last category of Most Active Working Group, The AEGEEan has found five nominees, namely: Culture Working Group (CWG), Language Working Group (LWG), Human Rights Working Group (HRWG), Environmental Working Group (EnWG) and Sports Working Group (SWG). In this article we will tell you all you need to know about these Working Groups and why they should win. The AEGEEan: What are the goals of your Working Group? In the Culture Working Group we aim to discover what it means to be European by understanding our culture. 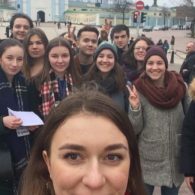 We want to become closer by getting to know and to understand the different cultures in Europe, what makes us unique while bringing us together at the same time. So far we have used pictures, movies, literature and dance – to name just a few – to understand each other. The AEGEEan: Who are the members of your team? The Board members 2013-2014 are Dasha (AEGEE-Moskva) as Speaker, Hanna (AEGEE-Kyiv) as Secretary, Danae (AEGEE-Athina) as HR Responsible and Sabina (AEGEE-Cluj-Napoca) as PR responsible. But of course we rely a lot on our members from all over the Network. The AEGEEan: Which activities have you been organizing in the last year? In the past year we have created a quotes calendar (we are now at the second edition with the 2014 calendar) and a movie library. This December we focused on getting to know a bit more about the way AEGEEans celebrate during the month through our ‘December Stories’ project. 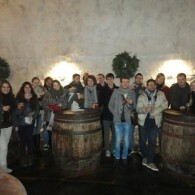 We also had a collaboration with AEGEE-Plzen for their ‘Beer Congress’ event. 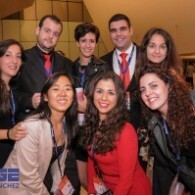 Of course our most important projects are CEN (Cultural European Night) and CEN Awards, and collaborating with SUs. This year we also prepared a series of Valentine cards for EBM Lublin that could be found at our stand. As internal activities we had a ‘Where am I ?’ game going on between our members, where based on some unique pictures of various cultural elements (statues, dances, paintings etc.) we had to guess the location. AEGEEan: Which activities that your working group organized are you most proud of? We are proud of all our activities, because they show that our members care and wish to get involved. Also as a team, the Board watches over the projects so that they are of high quality. One of the most successful projects has been the quotes calendar – this year we had AEGEEans asking early on when it will be ready and where they can get it from. So for next year we plan on being prepared and having it out in early January. AEGEEan: What are your plans for the upcoming year? As Agora Patra is near, we are preparing for it. We will have a stand at the fair and will hold an interesting workshop. Be sure to come see us, because as we did with EBM Lublin we will prepare a special surprise again at our stand. After the Agora we will continue our collaboration with the antennae that showed interest in having cultural elements in their SUs. We will help them prepare workshops and their activities, write articles about them after the event (continuous promotion). We will also keep our fans on Facebook engaged and let them know about celebrations from the famous (St. Patrick) to the less known such as Towel Day. Keep your eyes on our Facebook page! And in the mean time we encourage our members to come up with their own project ideas and get involved! 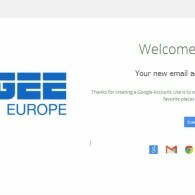 AEGEEan: Why should youp win the Most Active Working Group award? We think that in our case results speak for themselves: great people, great projects with great results, the antennae want to collaborate with us (we have nine SUs collaborations this year) and that makes us very happy. Winning the Most Active Working Group award would be the cherry on the cake of an awesome and active year! You can find the CWG on Facebook here. AEGEEan: What are the goals of your working group? To raise awareness about the value of multilingualism and to encourage and help AEGEEans to learn more foreign languages and discuss issues related to language policies, minority languages and language diversity. AEGEEan: Who are the members of your team? The ideal member of the LWG is someone who loves learning languages and thinks linguistic diversity is an important aspect of Europe’s cultural richness. We have around 70 members, based on the subscribers on our mailing list LWG-L.
AEGEEan: Which activities have you been organizing in the last year? The European Day of Languages (EDL) Action Day on November 21th 2013, a stand during the Fair of Agora Zaragoza, a workshop during EBM Lublin in collaboration with the International Politics Working Group, the language event in Toulouse and LINGUA, a translation service for the Network. The European Day of Languages (EDL) in 2013! The European Day of Languages (EDL) Action Day on November 20th 2014, collaboration with Summer Universities, other working groups and projects, LINGUA, promotion of interesting language learning website and promotion of language activities in locals. AEGEEan: Why should you win the Most Active Working Group award? Because we are almost the newbie WG and it will be a great encouragement to gain new active members. The HRWG seeks to gather all the AEGEEans interested in Human Rights in order to raise awareness and educate other people inside or outside the forum. Currently, the board consists of Danae Matakou (Speaker), Lia Tuska (Secretary), Dimitra Amorgianou (HR Responsible) and Barbara Santibanez (PR Responsible). However we receive a lot of help from the previous Speaker, Maria Arends, who is always there when we need advice. 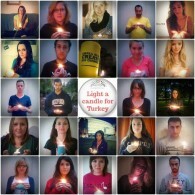 In the previous term, the working group organised an event on immigration “Are we there yet?” and later started the “Light a Candle” campaign for the protests in Turkey. In our new term, we had a workshop about the influence of the media at the EBM Lublin (and we’ll also have two workshops in Agora Patra so don’t miss them!). Also, we created LGBT sub-working group and we have a pool of writers who write in The AEGEEan about Human Rights. Finally, one of our most recent actions is that we started monthly skype discussions about important subjects, like the situation in Ukraine, which had a great amount of participants. Through our term, we are most proud of the discussion about the situation in Ukraine because we gave the Ukrainian members the chance to share with us the situation they experience right now, but also to the rest of the members to ask questions because there’s no better source of information than people who lives there. For 2013-14 we have three focus topics: Human Rights education, Gender equality, Xenophobia, racism and discrimination. We have an activity plan around these three topics that includes online actions such as creating a pool of writers for the AEGEEan, the monthly Skype discussions (that started on March 16), and social media campaigns. Also, we have included in our activity plan the collaboration with other NGOs to take part in external events. But we strive for representing the HRWG at European level events such as EBM, the Agora (we will be in Patra! ), summer universities, etc. 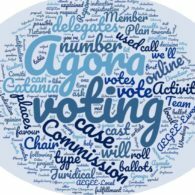 AEGEEan: Why should your working group win the Most Active Working Group award? Human Rights Working group was (re)established in 2012, which means it has been active only for two years now and this is a short time compared to how long other working groups have been around. However, we managed to have a good amount of members who are also active and contribute to our actions. We also have a very active facebook group and we are always working on different activities and trying to find ways to inform and reach the network on human rights issues. You can find the HRWG on Facebook here. 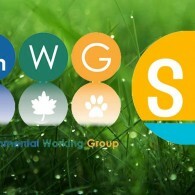 The goals of the EnWG are to make AEGEE a more sustainable association, by promoting and supporting sustainable events and raising awareness of environmental issues. They also want to raise awareness of the state of our planet, discuss solutions that can be achieved and collect information on the sustainability of our network. To reach their goals the EnWG organizes activities like the European Day of Environment, green Summer Universities and workshops during local and European events. You can find the EnWG on Facebook here. 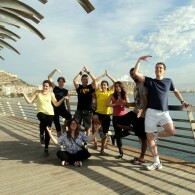 The goals of the SWG are to promote physical activity within our network, help unite all nationalities and eradicate racism, collaborate with antennae to increase physical activity and to make AEGEE members more active, using the power of sports to bring people together. They organize training courses, sport summer universities, AEGEE Olympiads placing them in the MOVE WEEK to reach this goals. You can find the SWG on Facebook here.